As Ezra Solomon once quipped, “the only reason that economists make forecasts is to make astrology look respectable.” Nevertheless, we undertook this task without access to any supercomputers or statistical software, which needless to say means that our forecasts are to be taken with more than just a pinch of salt. We made our initial forecasts in November; to our astonishment some of our forecasts turned out to be fairly accurate, like oil prices. Over the course of the competition we discovered the difficulty of economic forecasting and the importance of far-sightedness. An example may illustrate this. Our initial pessimistic prediction for investment back in November (the green dotted line in chart 1) was based on investment intentions which had almost universally decreased in 2015Q3, in addition to poor output data. It became obvious with subsequent data that these indicators were far too short term, and taught us to pay closer attention to the underlying pressures for investment. We concluded in later rounds (the yellow and blue lines) that the trends towards higher labour costs, greater consumption and looser credit conditions would act to increase investment. Target 2.0 allowed us to experience the power of statistics to provide a solid basis for policymaking. We constructed our own inflation survey using data collected from both firms and households using convenience sampling. Some of this research indicated that the sample median household inflation expectation in two years’ time had fallen between January and March, from 2% to 1.5%. We wanted to discover whether the population median expectation had changed, so we tested this using a Wilcoxon rank sum test. Our choice for this hypothesis test over others was that we were unsure what the underlying population distribution was (rendering parametric alternatives like Student’s t test unavailable). We found the change in the sample median to not be statistically significant at the 10% level. When forecasting, we therefore assumed that household inflationary expectations had remained unchanged, consistent with wider surveys taken at the time. Whilst calculating our own statistics became important to our analyses, we became acutely aware of the limitations of statistical aggregations, particularly in estimates of productivity. Compositional changes in the workforce can make data misleading, particularly during periods of recession and recovery, due to larger cyclical effects of the unskilled labour force compared to the skilled labour force. During a recession, job losses disproportionately occur in the low productivity, low wage jobs, and the converse happens in job growth during a recovery. Currently, this has the consequence of job growth being skewed towards these jobs, lowering average productivity and wages in national statistics, a phenomenon noted by Ben Broadbent. For us, this suggested the data was less reflective of the true gradient of underlying trends and so our forecasts for worker productivity growth were higher than consensus, feeding into our more optimistic view for the UK’s supply side performance generally. With the asymmetry in the effects of loosening and tightening policy and wealth of potential “black swan” events, we felt the future of monetary policy should be approached with a healthy dose of discretion. 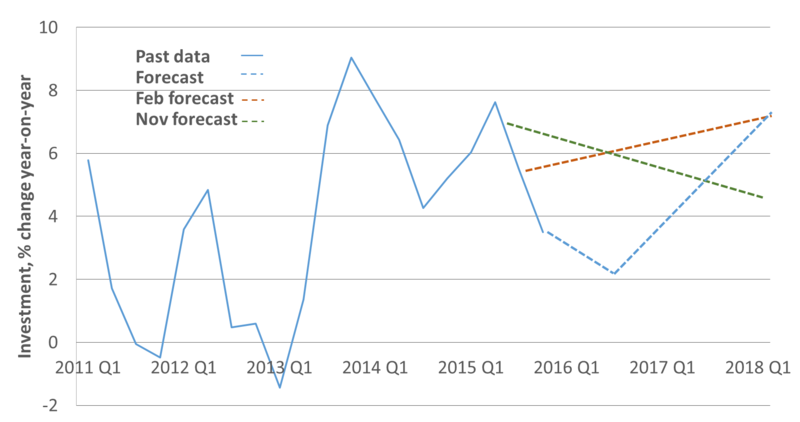 We expect the Bank Rate will stay at 0.5% for at least the rest of 2016, rising in 2017 only if uncertainty has reduced. Very clear state-contingent forward guidance was therefore necessary to translate this effectively to the markets. Our forward guidance stated that “the case for normalisation will be reassessed once core inflation and growth have been accelerating for at least three successive quarters”. We believed core inflation was more representative of the underlying cost pressures that were beginning to surface than ordinary CPI, and accelerating growth will lead to demand-pull inflation. We were confident that this condition would give ample time for external shocks to pass through the price mechanism. 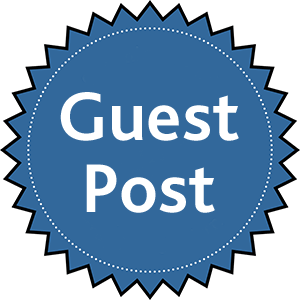 Forward guidance was used less as a tool to directly stimulate the economy but more of a tool to provide greater certainty on the likely path of rates, and hence reduce speculation. In the face of the breakdown of OPEC relations and the standoff between various countries to maintain market share, we believed that the oil market could be likened to a one-shot Prisoner’s Dilemma. Collectively the optimal strategy is to restrict supply, but individually countries have an incentive to expand production. However, in the long term we thought that deteriorating oil prices could begin to alter the payoff structure of the game as the marginal benefit of expanding supply is reduced, causing the threat of defection to act as a sufficient deterrent. Despite any breakdown of the stalemate between producers, there is now another force to contend with: huge stockpiles. These now stand at over 3 billion barrels worldwide and counting and will not be cleared until at least 2021, according to the IEA. Given these stockpiles, we forecasted no dramatic moves in oil prices. One of our reasons for our low inflation prediction was our belief that the Wicksellian natural rate would remain below 0.5%. We wanted to complement our own research as much as possible with the theoretical insights of top economists, including Ben Bernanke, Paul Krugman, Simon Wren-Lewis and Nick Rowe. Though there have been many different “natural rates” discussed, we concentrated on the Wicksellian rate of interest (i.e. the rate of interest that would theoretically lead to price stability in the absence of any other shocks). The Wicksellian natural rate has appeared to be negative since 2008, as shown by estimates made by the Bank’s own COMPASS model featured in a previous Bank Underground post. On that basis the current Bank Rate of 0.5% implies a negative Wicksellian differential, which is an additional reason for staving off an interest rate rise for now. For future prospects, we agree with Thomas Smith and Lukasz Rachel’s assessment that the natural rate, even if it turns positive, is still likely to remain low due to a variety of factors, including the global savings glut, secular stagnation and depressed investment schedules. As such we warned in our presentation that monetary policy may have to remain accommodative for some time in order to hit the inflation target. Initially, when looking into the output gap, the main source of worry came from the tightening labour market. A decade low ratio of 2.2 unemployed people per vacancy was a strong indicator of a very small amount of slack, and views among commentators was that 5.1% was below or close to approaching the natural rate of unemployment. This gave rise to our belief that the output gap is small and our labour market predictions indicated it was narrowing. However, one of our team members pointed out that a negative Wicksellian differential should also imply a negative output gap. 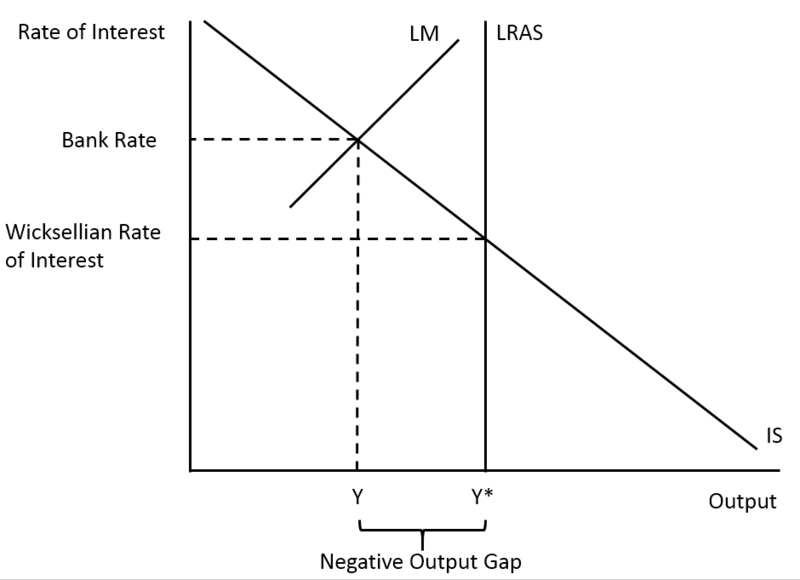 We realised together with the help of an IS-LM model and LRAS curve (chart 2) that if the money rate of interest (determined by the central bank’s positioning of the LM curve as it intersects the IS curve) is higher than the natural rate of interest then output should run at below potential. Hence, our prediction of a negative output gap led us to our ultimate cautionary position. Finally, the precedent of other countries that have pursued normalisation in what appeared to be liquidity trap scenarios confirmed our cautious position. When the Bank of Japan increased their policy rate by 25 basis points in 2000 their deflationary situation worsened. A rate increase in Sweden in 2011 reduced inflation from 3.5% to just below 0%. These economies failed to see their price level consistently rise again for years afterwards, and hence we felt persuaded that their similarities to the British economy (developed economies with large service sectors and financial industries exposed to global turbulence) justified their use as a cautionary tale. It was for this final reason, building on the reasons explained above, that Pate’s Grammar School decided to pursue a more cautionary monetary policy (for now). Samuel Cole, Jack Sherer-Clarke, Oliver Wallbridge and Annabel Manley are A-level economics students at Pate’s Grammar School, Cheltenham. The powerpoint slides from the team’s final presentation can be found here. Next Post Bank Underground is a year old!